Shows how many views your profile has had. This plugin adds a field to your profile called "Profile Views". It bascially counts how many views your profile has had. 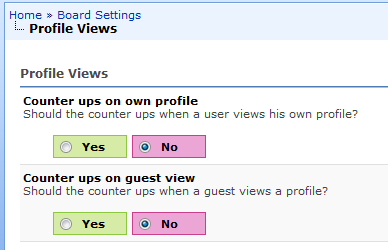 You can change the plugin so that if you view your own profile, the counter doesnt increase, and also so that if guests view your profile, the counter also doesnt increase. 2. Activate Plugin in the plugins menu in the AdminCP. 3. Change settings in the configuration tab in the settings menu. 4. Test, Check and Enjoy. 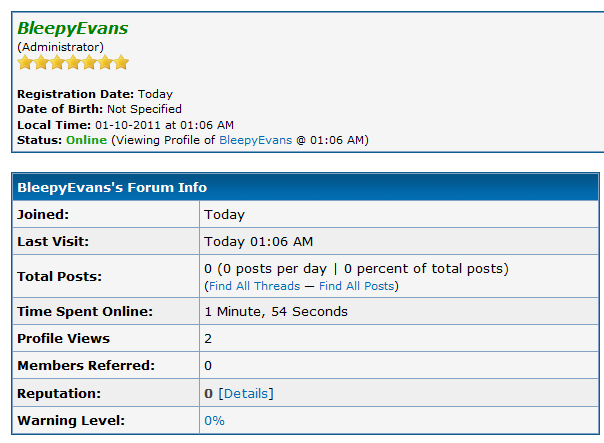 Display the number of views a profile has had in the users profile. Shows how many people have viewed your profile, in your profile. 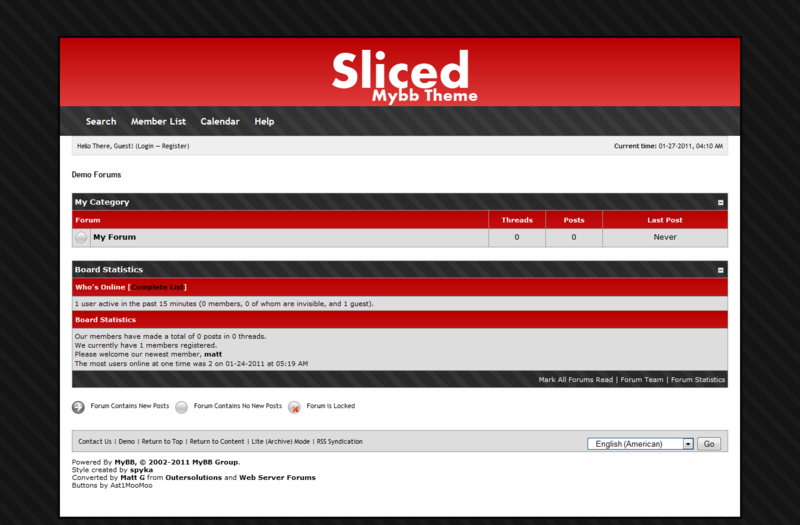 Sliced is a red, black and white amazing theme, which looks great on every forum!